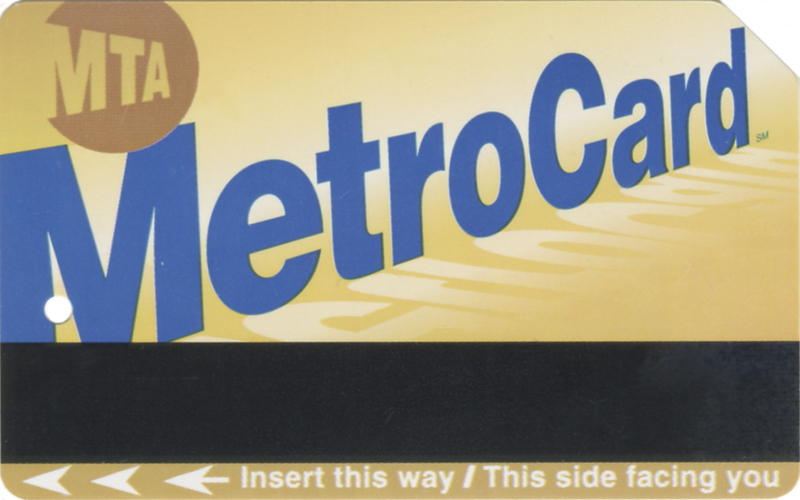 What I mean is that when metrocards first appeared they did not have any pictures or advertisements on them, they were just simple plain vanilla cards. 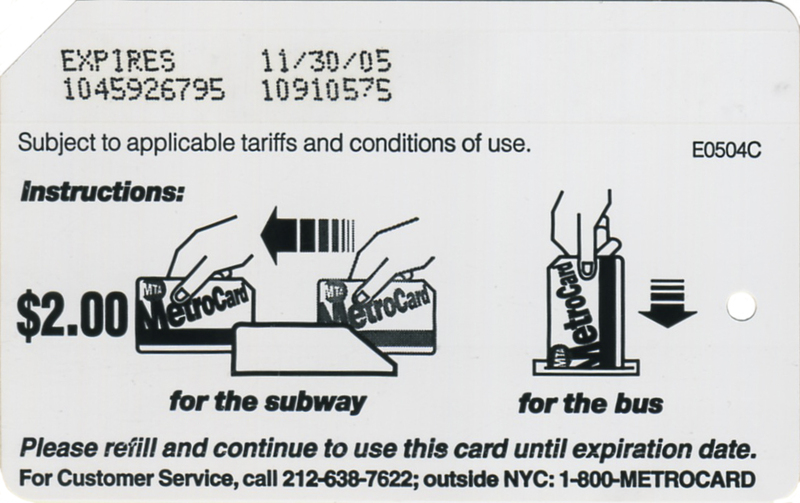 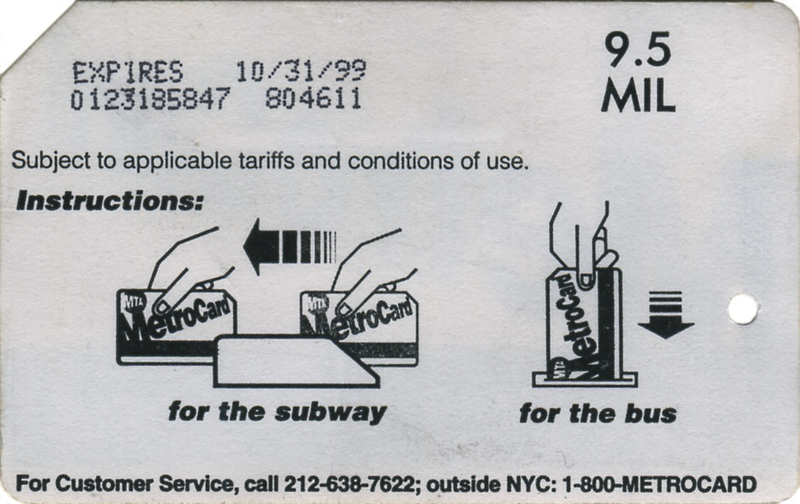 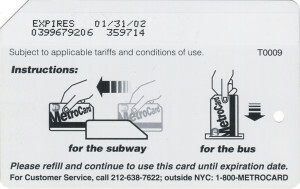 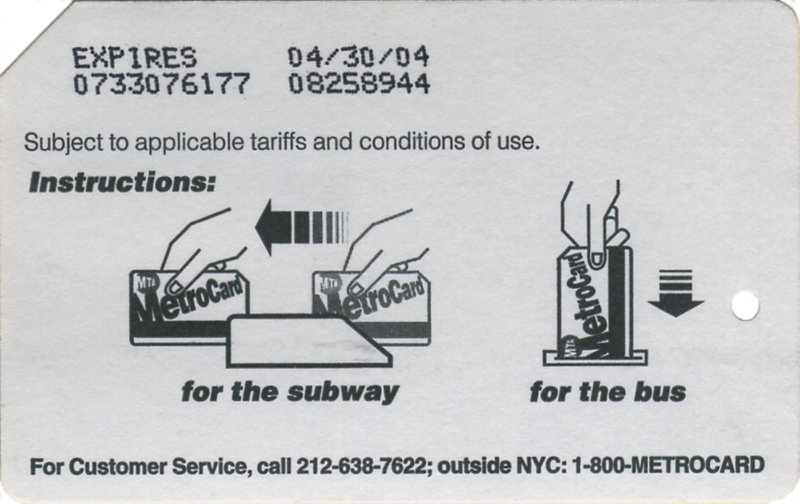 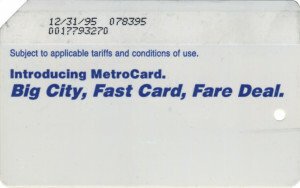 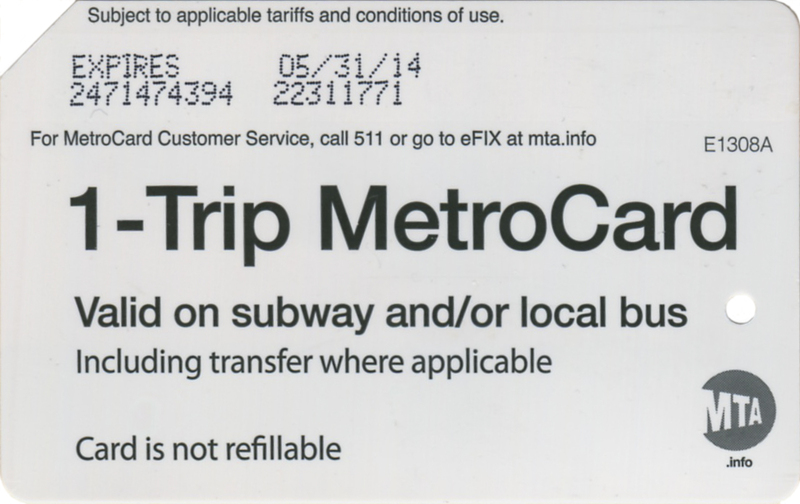 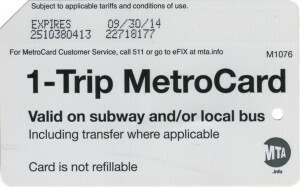 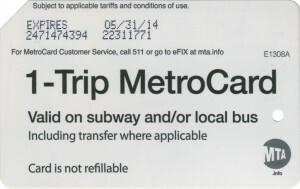 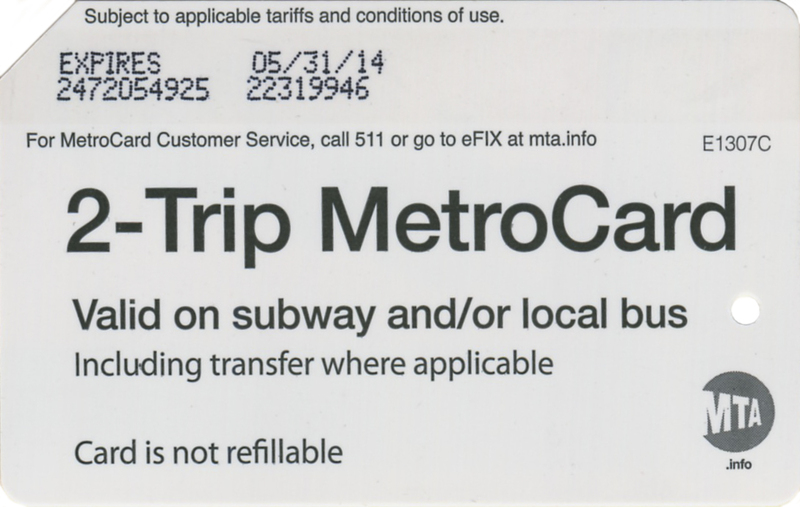 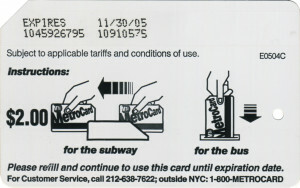 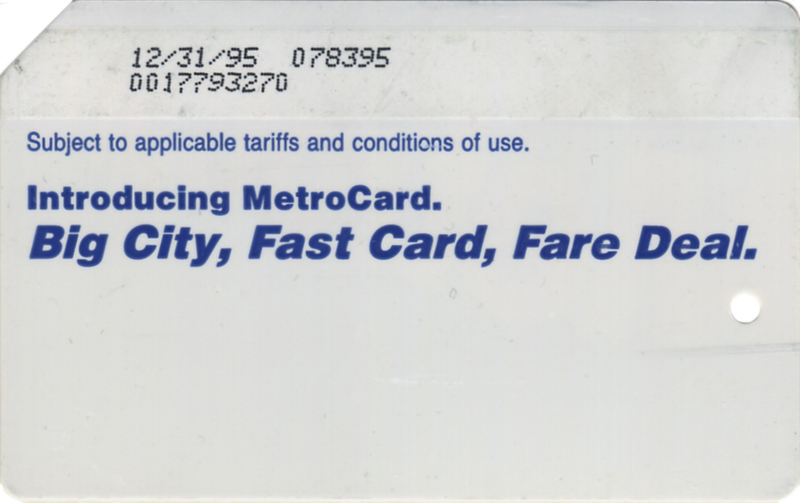 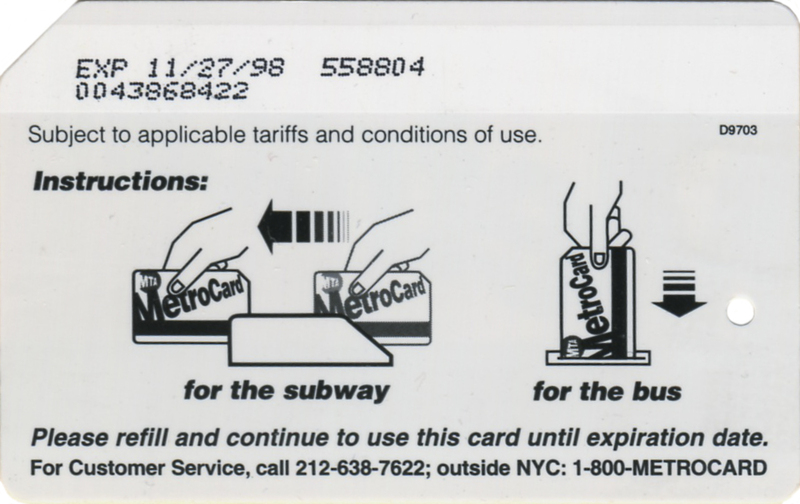 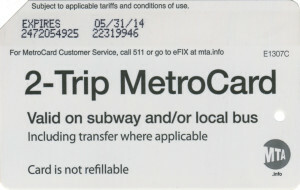 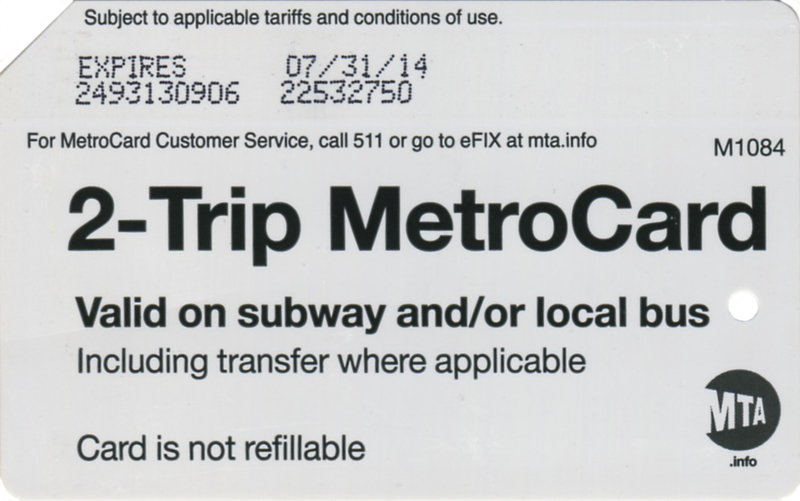 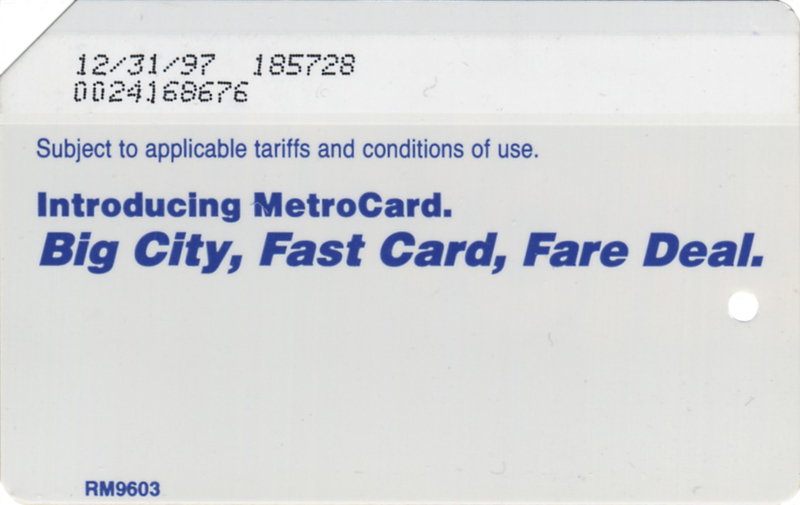 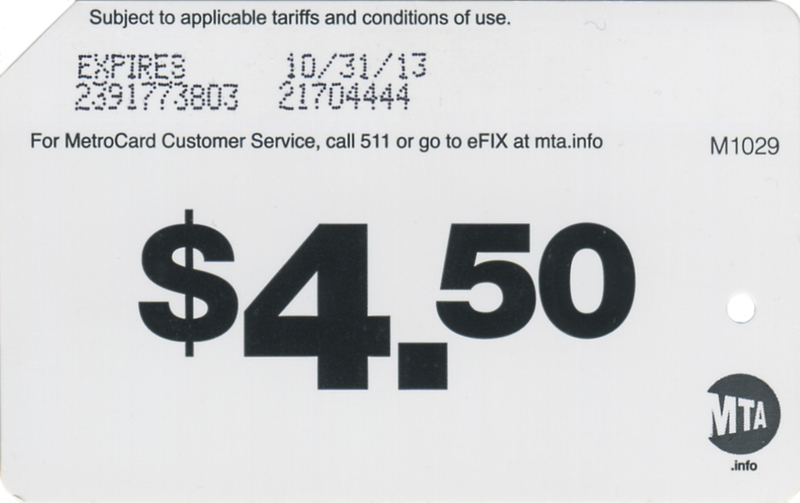 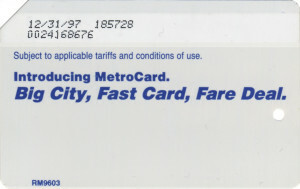 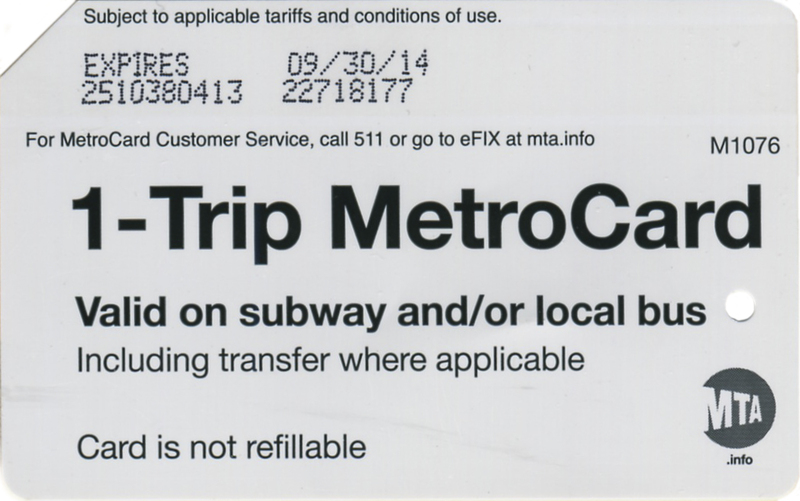 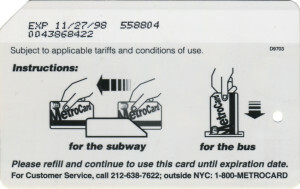 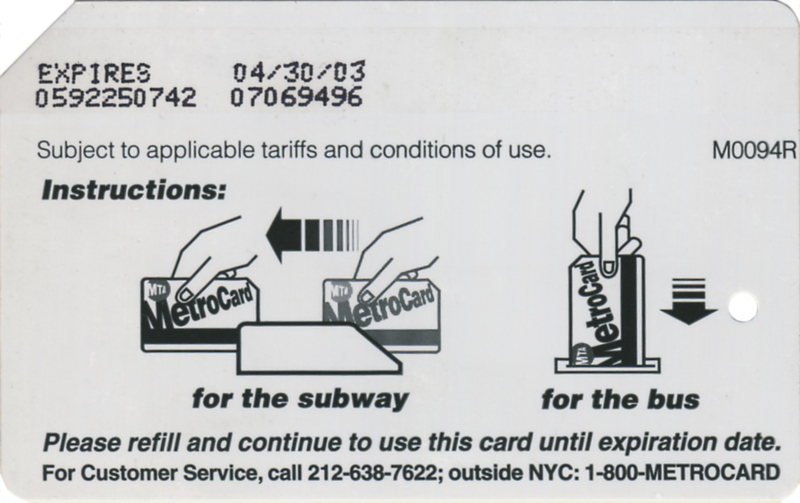 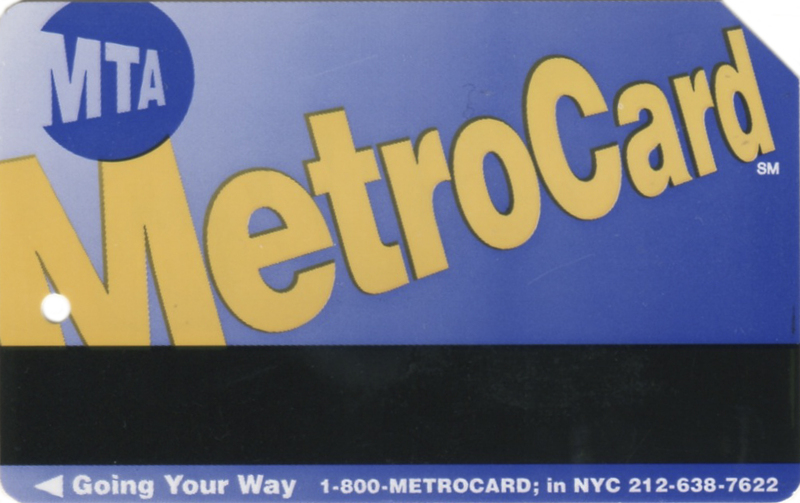 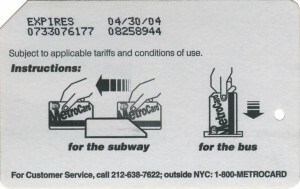 Some first cards appeared with the slogan ‘Introducing Metrocard. 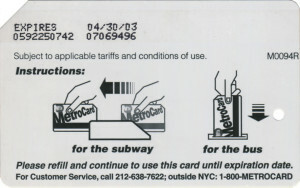 Big city, Fast card, Fare deal’, when ‘gold’ metrocards were introduced instead of blue back cards they were featuring just an instruction on how to use the card, that’s why sometimes that cards were called ‘instruction’ cards. 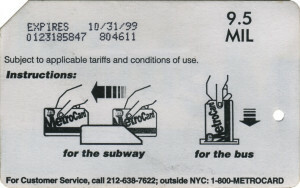 All plastic metrocards are made of polyester 10 mil thick. 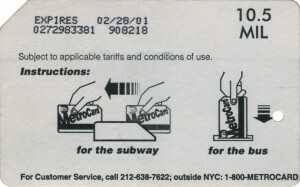 Here are images of some of them. 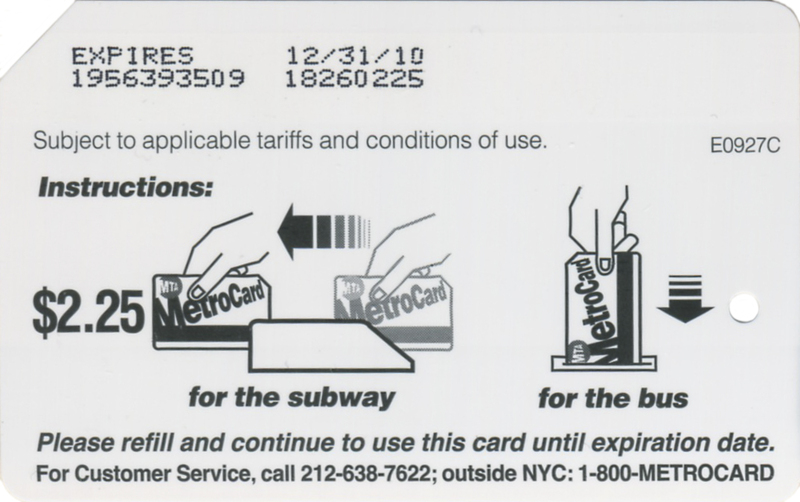 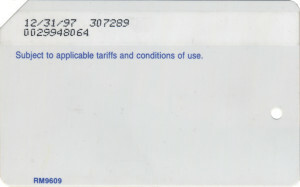 Please, notice that some cards were encoded with just single fare on them. 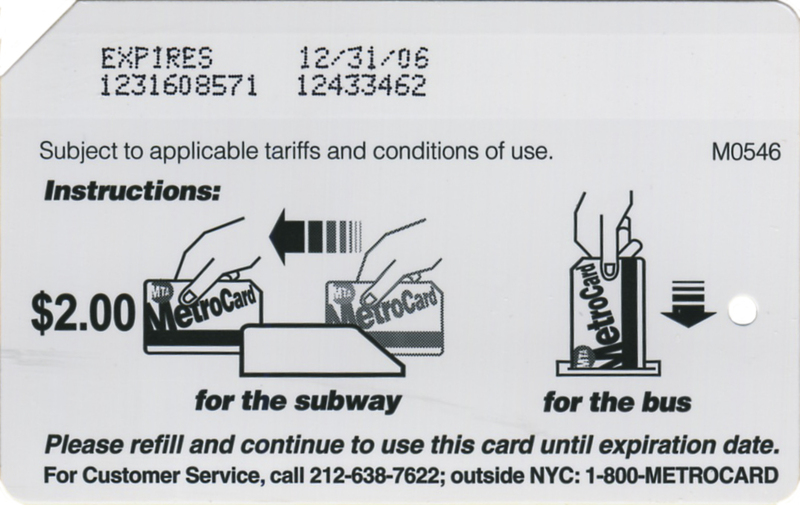 Those cards were used to send out to people who got into problem with their own metrocards and sent them over to MTA for replacement. Also, ‘gold’ metrocards are usually known that they made of plastic, at the same time small quantity is made of paper and on trial run of paper cards weigh of paper can be seen on the upper right corner of metrocard.